12/12/2018 Very sorry, just be aware there may be slight cracking with some separate combinations. I'm quite irked about it but don't have time right now to go back and make all the separates combinations match up. I thought I was matching them all but somewhere, somehow, mismatches crept in. It may be a skeleton issue or an EP version issue, not sure, tried replacing CRES resources. Much as I want to work on this, don't know when/if I'll have time again. 3/13/2018 Still working on making all the damn preg morphs match on everything without cracking. It seems somewhere along the years, some of my stuff matches HP shirts/pants and some doesn't. 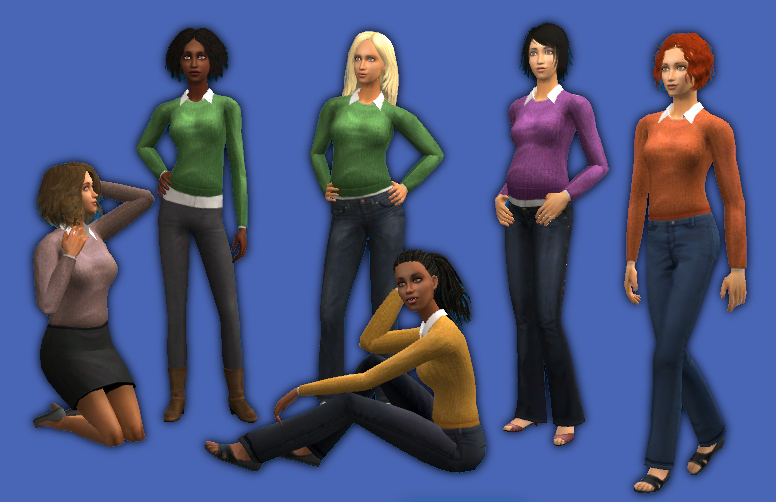 Need to go back and make it all match, after Spring Break... No problems for non-pregnant sims. 3/7/2018 Don't download! 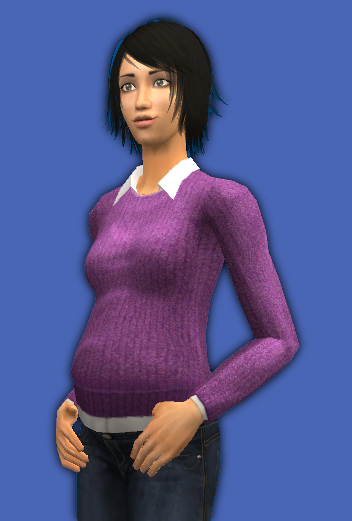 I have to fix the darn preg morph. Forgot to make the preg morph match HP's stuff and my old stuff. Will go back and fix all my 2018 uploads, probably tonight. Please redownload after I fix it. Sorry for the inconvenience! 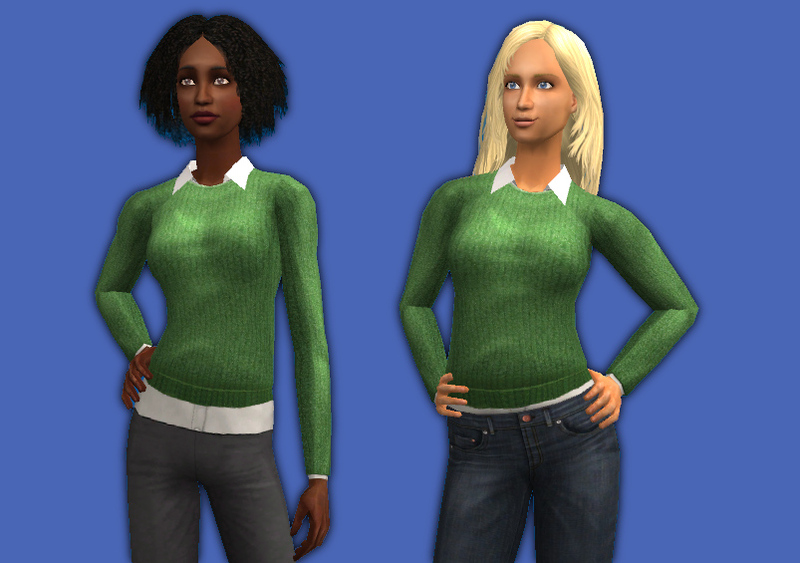 Preg morph replacement mesh and untuckable replacement textures for the afTopCrewneckCollar sweater. I swiped Artemida's excellent idea of putting Aquilegia's shirts under this sweater to make it untuckable. peeking out at the wrists. Conflicts with any other default replacements of afTopCrewneckCollar. decustomized and townified. You can use the mesh or textures or both. 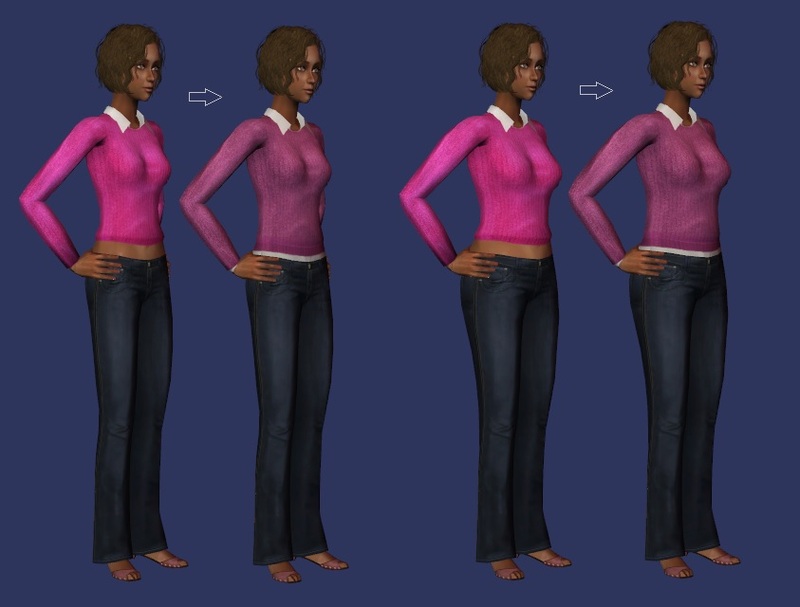 NOTE: The H&M jeans pictured have my UPDATED 2018 preg morph with the nicer UV mapping. 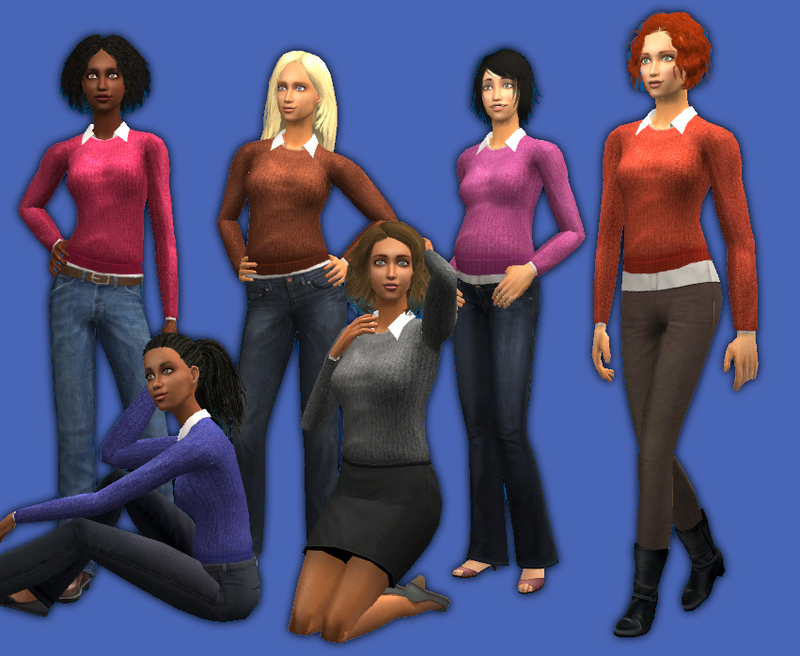 If you use the older preg morph, the sweater hem will be weirdly stretched. 41 people have said thanks to CatOfEvilGenius for this download.